In his 1995 encyclical, Evangelium Vitae, St. John Paul II stated that “the donation of organs, performed in an ethically acceptable manner, with a view to offering a chance of health and even of life itself to the sick who sometimes have no other hope,”is a “particularly praiseworthy example”of the everyday heroism that builds up the culture of life (§86). Unfortunately, the nobility of such a gesture is threatened in our contemporary setting by many ethically questionable practices, some of which have become deeply imbedded in the wider implementation of organ transplantation. The Ethics of Organ Transplantation, edited by Dr. Steven Jensen, treats these practices head-on, providing a thought-provoking contribution to the ongoing discussion of this topic. The book consists of 14 essays that were originally papers given at a University of St. Thomas (Houston, TX) conference in 2009. The published text clearly bears the stamp of a multi-disciplinary approach, insofar as the authors range from bio-ethicists and medical doctors to psychiatrists, theologians and lawyers. The book is divided into five thematic parts, each of which considers the most pressing questions in the present debate (Brain Death, Donation After Cardiac Arrest, The Dead Donor Rule, Gift or Conscription?, Corollaries and History). It may be helpful to note that the conference was not focused upon a Catholic approach to organ transplantation, even though a good number of the essays take up the question directly. The Ethics of Organ Transplantation concerns itself with both living organ transplantation –the transplantation of a non-vital organ (e.g., a kidney) from a healthy donor –as well as the transplantation of vital organs after death. While these are obviously both instances of transplantation, it is helpful to distinguish them at the outset insofar as each has come to carry its own set of attendant ethical questions and problems. Several authors deal with living organ transplantation alone. Those who do so –Romanus Cessario, O.P., Thomas L. Cook, and Janet Smith –write from a distinctly Catholic perspective, and this is no accident: a very spirited intra-ecclesial debate has taken place over the last 75 years regarding the ethics of living organ transplantation. The presently ubiquitous intuition that living organ transplantation can be an ethically responsible form of charity and self-gift was not always shared by the majority of Catholic theologians and ethicists. Many Catholic thinkers of the 1940’s and 1950’s found it difficult to accept living organ transplantation –a potential possibility of science that came to reality in 1954–as ethically permissible. Our three authors revisit the arguments, pronouncements, and developments that eventually brought us to the position indicated in the Catechism: “Organ transplants are in conformity with the moral law if the physical and psychological dangers and risks to the donor are proportionate to the good sought for the recipient”(§2296). The majority of the text deals with the issues that crystallize around the transplantation of vital organs after death, as well as the foggy borderline that traverses living and dead organ transplantation (e.g., a person who is already dying but wishes to donate their vital organs prior to the occurrence of natural death). Presently, a person must be declared dead in order to donate his vital organs. This so-called ‘dead donor rule’is intended to go a long way in preserving the “first, do no harm”aspect of the Hippocratic Oath by ensuring that the physician’s act of transplantation does not kill—and thus harm—the donor. Yet it is precisely here that a conundrum surfaces: as soon as the donor dies, the organs—the vital organs especially—begin to deteriorate quite rapidly—often too rapidly for successful transplant. This obviously poses a problem for advocates of vital organ transplantation, who wish to procure the organs prior to their deterioration. Instead of opposing the ‘dead donor rule’directly, some of these advocates have sought a way around the conundrum by attempting to modify the definition of death. The neurological criteria for death—so-called ‘brain death’—arose (in part) from this situation: the ‘death’of the brain will sometimes occur before the organs begin to seriously deteriorate, so there is a longer window for a successful transplant. Any follower of the ‘brain death’controversy and debate will benefit from the four essays addressing it in our text. Most notably, D. Alan Shewmon, the most well-known critic of the ‘brain death’criterion, makes a contribution, as well as Jason T. Eberl, who wishes to defend the ‘brain death’criterion on Aristotelian-Thomistic grounds. The reasonable question that Shewmon and others ask is whether the ‘death’ of the brain, so to speak (or the prognostic assessment of the cessation of brain function) is the actual death of the organism. A perhaps obvious but less travelled path out of the conundrum is to propose the abolishment of the ‘dead donor rule’as such. Such is the argument of Thomas Cochrane in the text. He suggests that the rule presently inhibits dying patients from exercising their liberty by denying them the right to donate their vital organs prior to natural death. Interestingly, he cites the abuse of the dead donor rule as a reason to abolish it altogether. In other words, if advocates for organ transplantation are constantly pushing the limits regarding the definition of death, then the dead donor rule has effectively lost its meaning. Cochrane’s proposal is to come to overt terms with what has been covertly attempted, namely, to find a way around the dead donor rule. The problem is, of course, that the abolishment of the dead donor rule entails the establishment of a kind of suicide, in which the patient willingly (and supposedly generously) consents to be killed by the doctor in the process of harvesting his vital organs for donation. Beyond delving into each of these particular aspects of organ transplantation, perhaps the greatest strength of the text is its (albeit implicit) presentation of the differing anthropologies present in the varying positions on the issue. While perhaps not intending to do so, this collection of essays enables the discerning reader to notice that a particular position regarding the ethics of organ transplantation harbors a definite anthropology, a certain understanding of what the humanum is. Returning to the statement of St. John Paul II at the beginning of this review, it is clear that the late Pope considers organ transplantation to be a possible element of a sincere gift of self, such that it will participate in the building up of the culture of life. Yet, interestingly, Thomas Cochrane speaks of his understanding of organ transplantation in terms of donation as well. Both claim that their divergent understandings of organ transplantation have the character of self-giving –but can they both be authentic? Is my body a possession (or a collection of possessions) which I may rightfully dispose of as I see fit, even if this takes the form of an act of suicide? Or is my body first given –as one pole of a body-soul unity –such that I do not have the rightful authority to intentionally take my life (even if it were to benefit another)? The essays of Witold Kania, Steven J. Jensen, and Thomas Hurley are of particular help to the reader in identifying these implicit anthropologies and working through their different aspects. The Ethics of Organ Transplantation offers an informative and multi-faceted approach to the status quaestionis of organ transplantation and donorship. Either through a positive articulation or through presenting a negative foil, these essays will help the reader to think through the Church’s teaching on the matter. 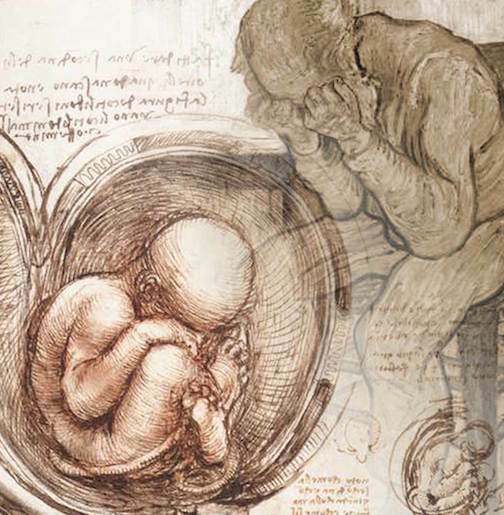 As a whole, ecclesial guidance and the unfortunate outcomes of the culture of death make one thing amply clear: whether in vital or non-vital organ donation, a giving of self that does not respect our origin and our nature will undoubtedly shatter the very nobility of the gift through the triumph of parts over persons. Matthew Kuhner is a Ph.D student in theology at Ave Maria University and his wife Michelle is a teacher and office manager at a local Montessori school. They both recently received their M.T.S. degrees from the Pontifical John Paul II Institute in Washington D.C.